A symposium on the Philosophical Schools of ancient Athens with Classics & Archaeology staff from the University of Melbourne will be organised by the Greek Community of Melbourne, on Thursday, 5 May 2016, as part of the Greek History and Culture Seminars series, offered by the Greek Community of Melbourne for six consecutive years. The panel consists of the following academics: Dr Brennan McDavid, Dr Edward Jeremiah, and Associate Professor Louise Hitchcock. Moderated by Dr K.O. Chong-Gossard. 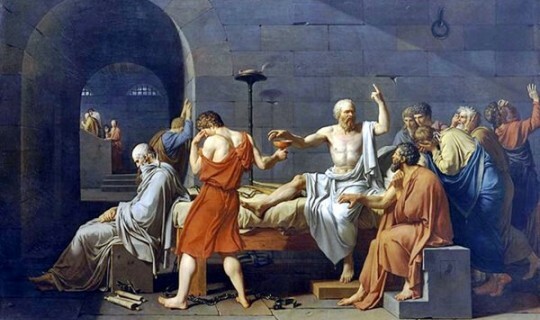 Plato’s Academy, Aristotle’s Lyceum, Epicurus’ Garden, the Stoics, the Sceptics—all these philosophical schools from classical Athens had their own prescriptions for you on how to lead the best possible life. But which one would work best for you? What would each school have to say about our current ethical issues? Which school’s answers best match your own ethical views? Find out during this panel symposium as our panellists tackle questions from the moderator and the audience about how each ancient school would respond to 21st century political and ethical crises. Brennan McDavid is the Seymour Reader in Ancient History and Philosophy at Ormond College; she also teaches Greek philosophy and Latin at UniMelb. Edward Jeremiah completed his PhD at UniMelb in Classics on an ancient philosophical topic, and teaches Ancient Greek sessionally. Louise Hitchcock is Associate Professor of Bronze Age Archaeology at UniMelb, and also did a B.A. in Political Science. K.O. Chong-Gossard is the Discipline Head of the Classics & Archaeology program at UniMelb, where he teaches Ancient Greek.